Bengaluru, July 28 (IANS) The Enforcement Directorate (ED) on Friday attached 11,805 acres of land worth Rs 148 crore allotted to industrialist Nimmagadda Prasad by YSR Congress chief Y.S. Jaganmohan Reddy when his father was the Andhra Pradesh Chief Minister. This formed part of the ED probe against the YSR Congress leader in an illegal assets case, an official statement said. The agency said the attached land was illegally allotted to the companies of Prasad in Prakasam and Guntur districts. “This is a quid pro quo investment case where Prasad, various companies and individuals made huge investments in companies floated by Reddy for the favours received from erstwhile Andhra Pradesh government by way of allotment of land for development of port and industrial corridor, exemption under Urban Land (Ceiling and Regulation) Act,” the statement said. Jagan, as he is popularly known, was arrested by the Central Bureau of Investigation (CBI) in May 2012 in the case. He spent 16 months in jail before getting bail in September 2013. He is currently the Leader of Opposition in Andhra Pradesh. The CBI has filed 11 chargesheets in the case against Jagan, his aides, former state ministers, IAS officers, corporate entities and businessmen. The case relates to alleged investments made by private firms and individual investors in Jagan Reddy’s companies in return for favours they received when his father Y.S. Rajasekhara Reddy was Chief Minister between 2004 and 2009. 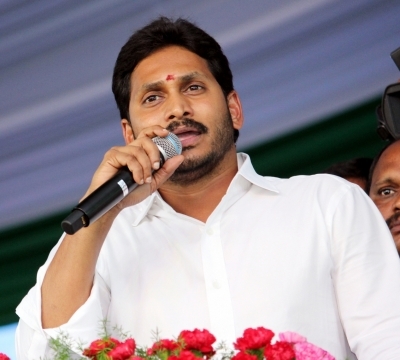 Based on a CBI chargesheet, the ED launched a probe under the Prevention of Money Laundering Act and found that Prasad allegedly paid bribes to Jagan Reddy in the form of investments totalling about Rs 779.50 crore in the latter’s companies, Jagati Publications Ltd, Carmel Asia Holdings Pvt Ltd, Bharathi Cement Corp Pvt Ltd and Silicon Builders Pvt Ltd.
Investigators in the ED said Prasad also paid Rs 57 crore to Jagan Reddy on the pretext of secondary purchase of shares and donation of Rs 7 crore to the YSR Foundation. In lieu of the alleged bribes, Prasad was “illegally” awarded the project for the development of the Vadarevu-Nizampatnam Port and Industrial Corridor by allegedly deviating from standard norms and without even examining the technical or financial capabilities, the ED revealed. Prasad got orders for allotment of land to the extent of more than 18,700 acres in the name of his goup company, Vanpic Projects Pvt Ltd, which allegedly had no responsibility for project development, another ED official said. In the same case, the ED had earlier attached Rs 538 crore assets of Jagan Reddy and his companies and Rs 325 crore worth assets of Prasad and his companies, including 1,416 acres of land from Vanpic Projects Pvt Ltd and Vanpic Ports Pvt Ltd.